Alert car owners keep an eye on their tires, identifying any issues before they become a major problem. Tires are one of (if not the) most important safety items on your vehicle. Those four patches of rubber, not much larger than your fist, are the only things physically touching the pavement. 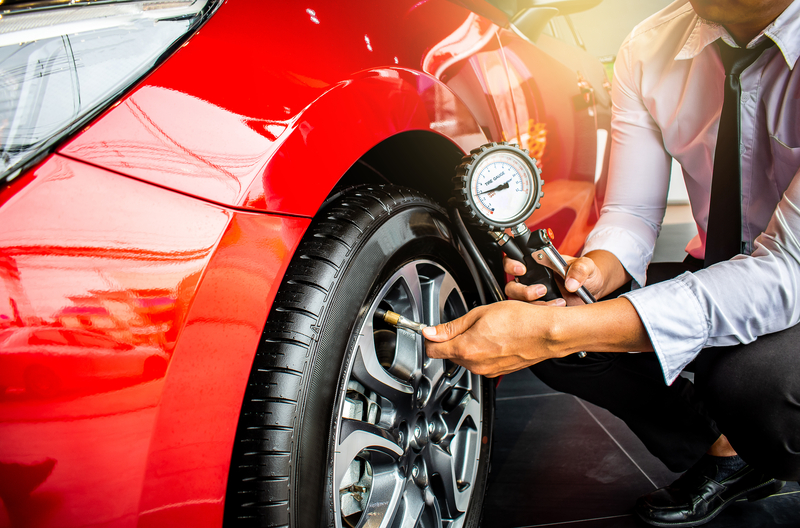 The performance of everything else – brakes, suspension, that box of Kleenex in the console – is largely dependent on the condition of one’s tires. After all, if the rubber resembles party balloons, no amount of expensive brake pads are going to stop the car before hitting that wayward minivan. It’s important to keep your tires in good physical condition. A tire with a slow air leak can quickly escalate into something more serious, such as a blowout. And when we say blowout, we’re not talking about those sales at No Frills. An actual blowout, if it happens, is an unbelievably dangerous situation. 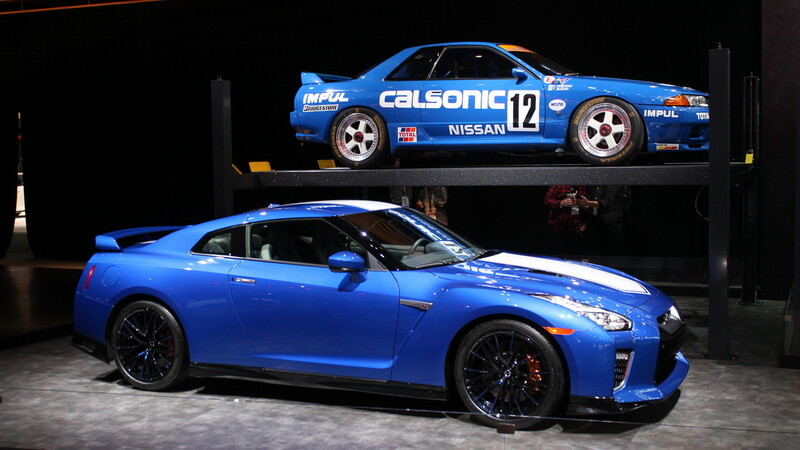 Faced with the abrupt and violent loss of air pressure in the tire at one corner, the vehicle’s handling dynamics will suddenly become extremely unpredictable. 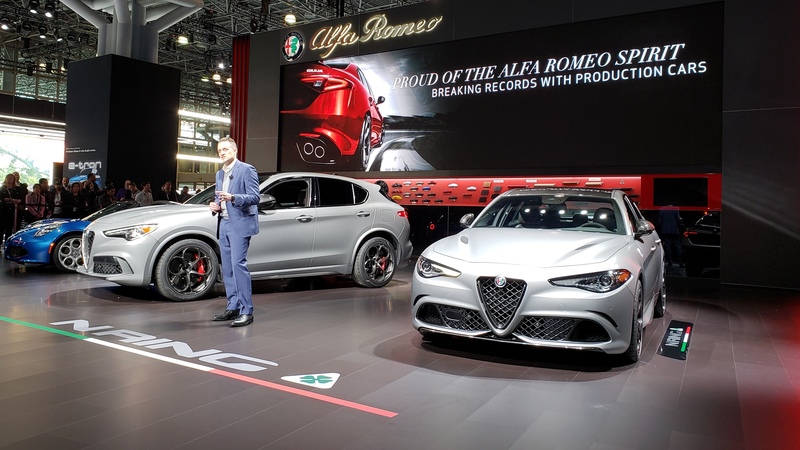 Not only will there be a rapid reduction of speed but, as the tire unravels, the entire car will probably change direction rapidly, leading to a potential loss of control and crash. Most blowouts can be attributed to a tire that is in very poor condition, often devoid of tread and/or inflated to the incorrect pressure. Alert car owners keep an eye on their tires, identifying these issues before they become a major problem. Tires which have the wrong amount of air in them can be incredibly dangerous. The air in a tire is measured in pounds per square inch. The recommended level for the tires on your vehicle is often listed on a sticker found near the driver’s door frame. Underinflated rubber can heat up very quickly, compromising the tire’s construction and leading to a blowout. Its sidewall is also not optimized for dealing with road impacts like potholes when it is in this condition. Too much air is also a problem. 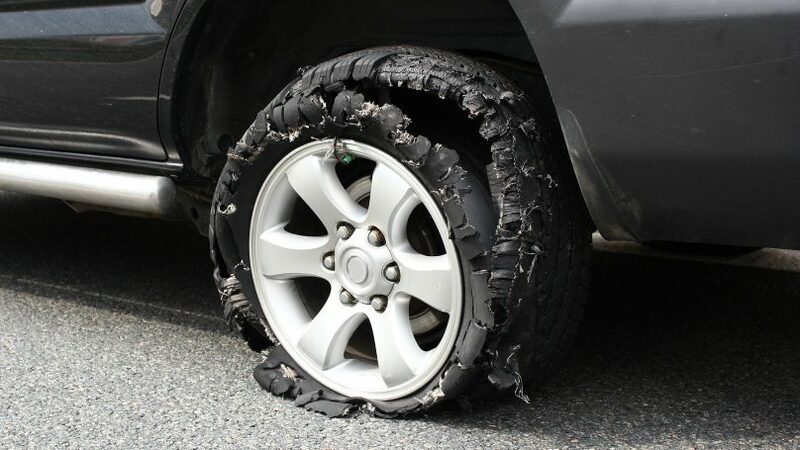 Overinflated tires are less susceptible to a blowout but not entirely immune to calamity. 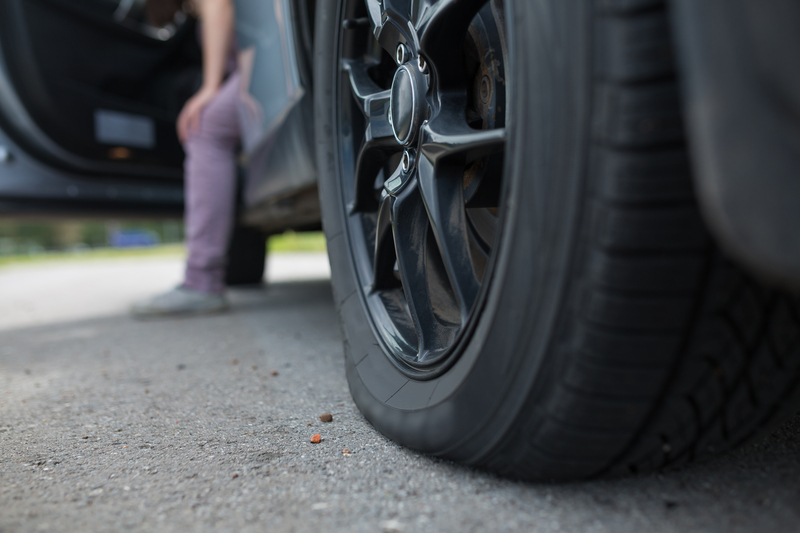 Beyond contributing to a harsh ride and accelerated wear, overinflation may also compromise a tire’s reaction when it strikes road damage or debris. 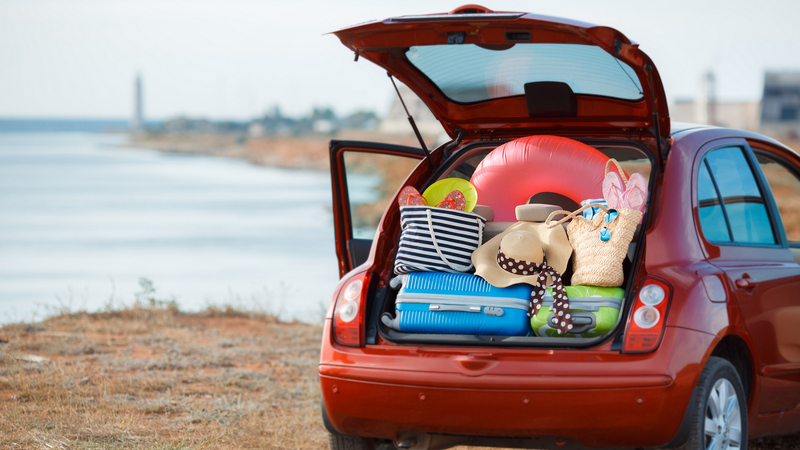 Even if one’s tires are inflated exactly as recommended, overloading the vehicle itself can cause a blowout. In this instance, physics is simply asserting itself. Too much weight bearing down on the tire may trigger a structural failure. Go sit on a balloon to demonstrate what I’m talking about. This can be exacerbated by underinflation, as described above. 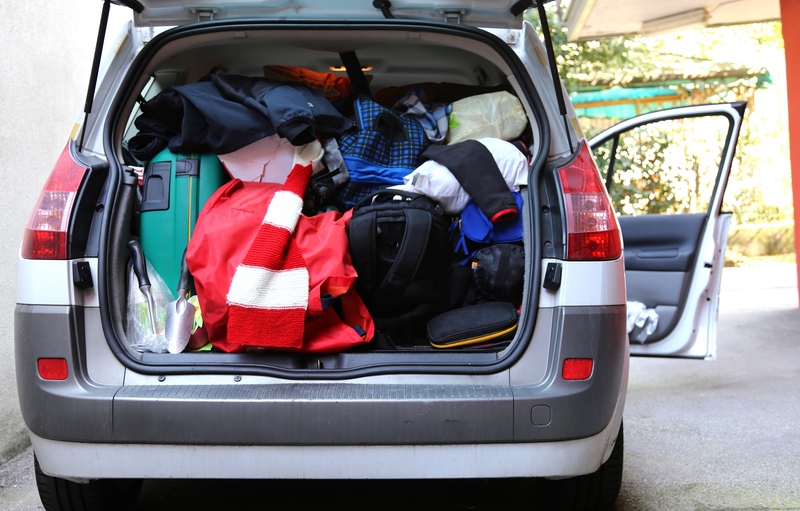 Take care to load your vehicle with a reasonable amount of weight. Just because the bed of your pickup can fit several scoops of compost as loaded by a backhoe doesn’t mean it’s safe for the truck to carry all that weight. Find your machine’s Gross Vehicle Weight Rating to help determine how many kilos of free mulch you can safely bring back from the landfill. 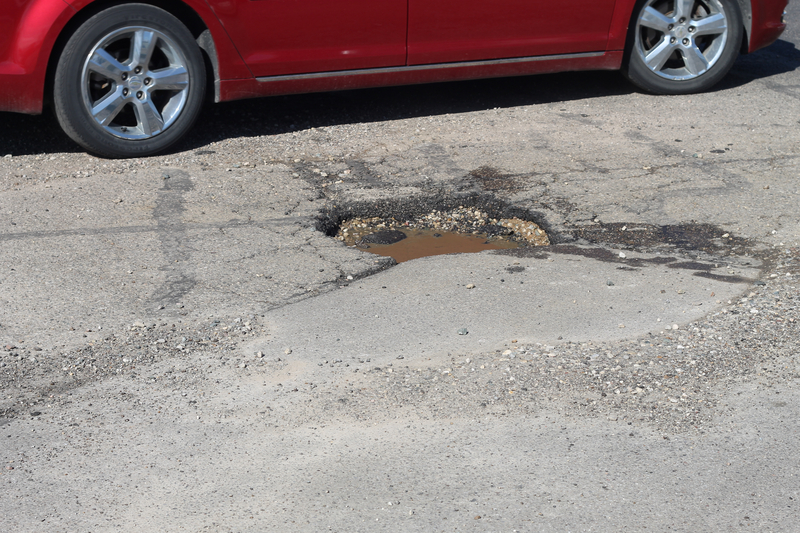 It’s no secret that the poor condition of many roadways in Canada can be very hard on a vehicle. When one strikes an outrageously large pothole or an especially abrupt frost heave, the physical stresses on a tire are just enormous. While the suspension components are designed to absorb some of the shock, the energy created during impact has to go somewhere. That impact will actually deform the rubber, pinching the tire’s internals between its wheel and whatever obstacle into which you’ve wantonly driven. If the hit is hard enough, it can damage the tire, either on the outside where one can see it or on the inside where the damage is hidden. If the angry pothole’s jagged little edge cuts all the way through fabric and rubber, the tire will probably give up the ghost immediately. 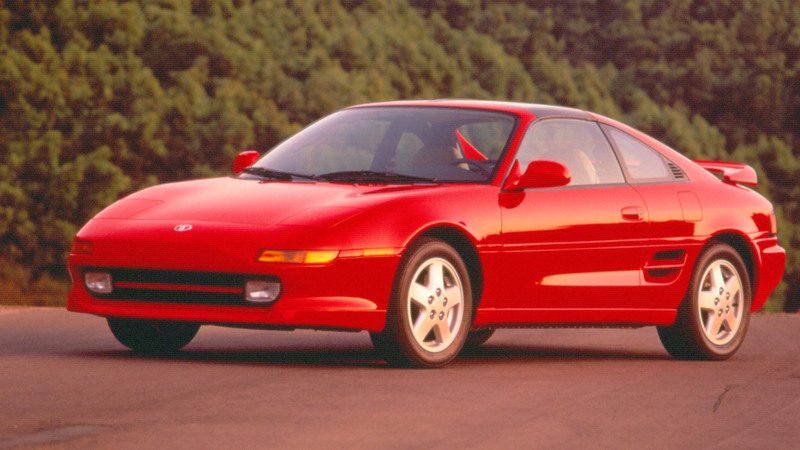 Otherwise, the damage might not rear its head for months, at which time the tire will shred itself into a little million pieces when you least expect it. How does one avoid all this calamity? Defensive driving and paying attention to road conditions are critical. It’s nigh impossible to avoid every single pothole but looking ahead at the road rather than looking down at your phone does wonders to spot avoidable road hazards. Steer smoothly, brake confidently. If that huge pothole is completely unavoidable, try to release the brake pedal before hitting the obstacle. This way, the tire will be rotating when it slams into the hazard, distributing the force a bit and improving your chances of rolling on through with minimal carnage. It’s not uncommon to pick up small debris – nails, bits of glass, metal shards – in a tire while navigating the city or country. Occasionally eyeball your tires, giving them a once over with a visual inspection. 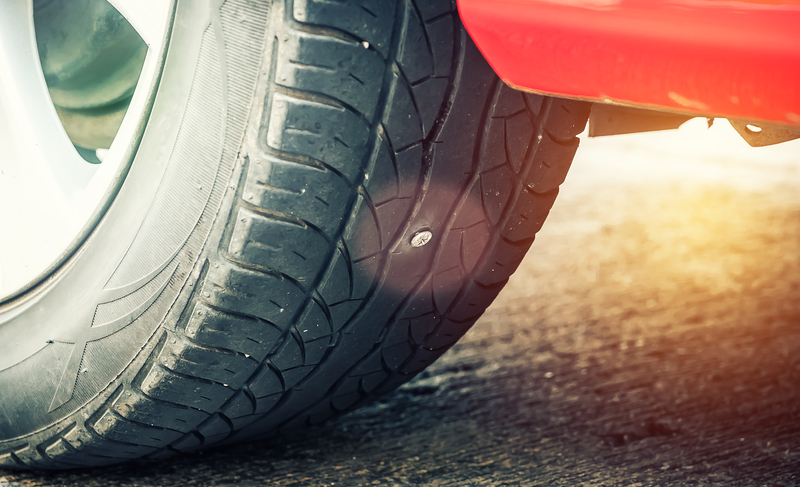 If you spy anything poking out of the tire other than rubber, have it repaired immediately. Drivers have an obligation to ensure all four of their car’s tires are safe for the road, a responsibility that includes regular maintenance. Trashed tires belong in at the recycling centre, not on your car. After all, they’re the only parts of your ride that actually touch the road.